Damn Arbor: Where the PEEP you at 2? Where the PEEP you at 2? Nah bird, where you peeping at? Lemme know. That shopping center with the Target and Jets Pizza and Chuck E Cheese. Oh Yeah. I think Mike H. is right. 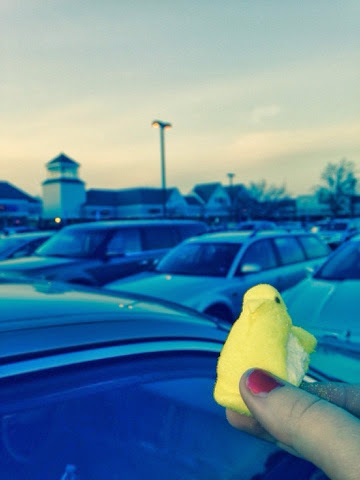 Is the Peep doing a tour of JoAnns in the area?? Although Jets is actually in a different strip mall than Target, JoAnn's, and CEC - it's across [Lohr? Oak Valley?] from Oak Valley. YALL WIN. PEEPS FOR EVERYONE. If you can find where they PEEPING at. Damn...too late. I actually recognize that one.